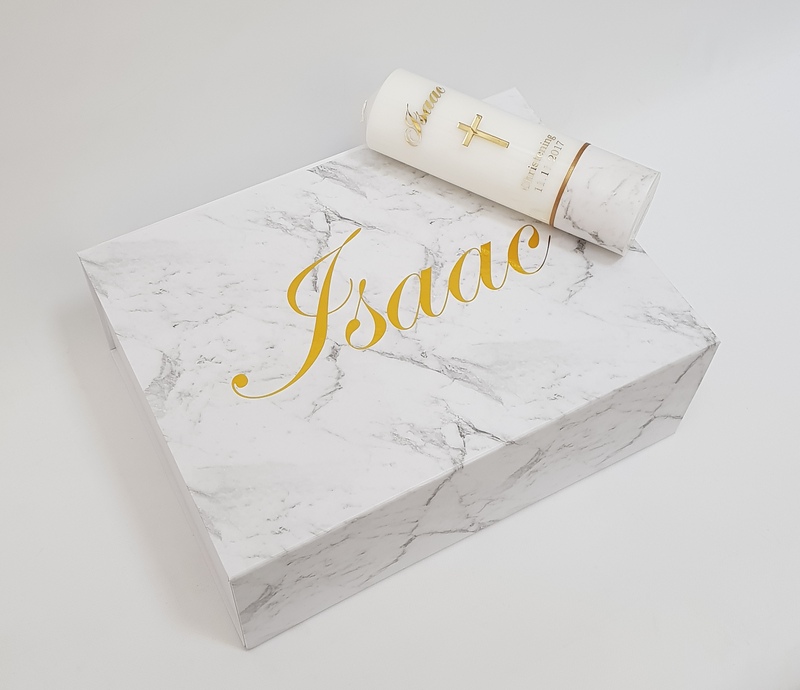 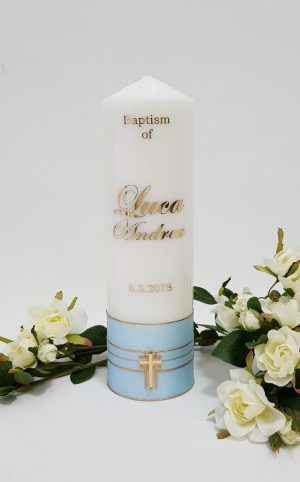 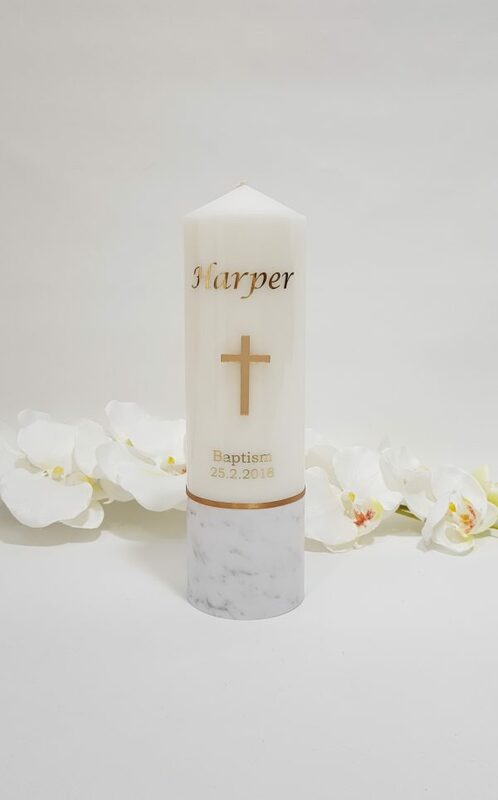 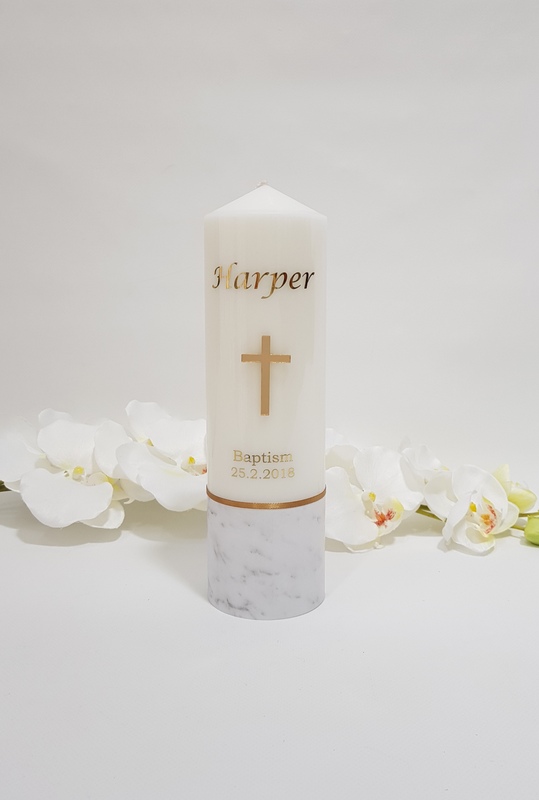 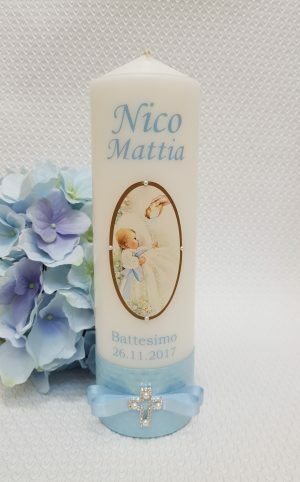 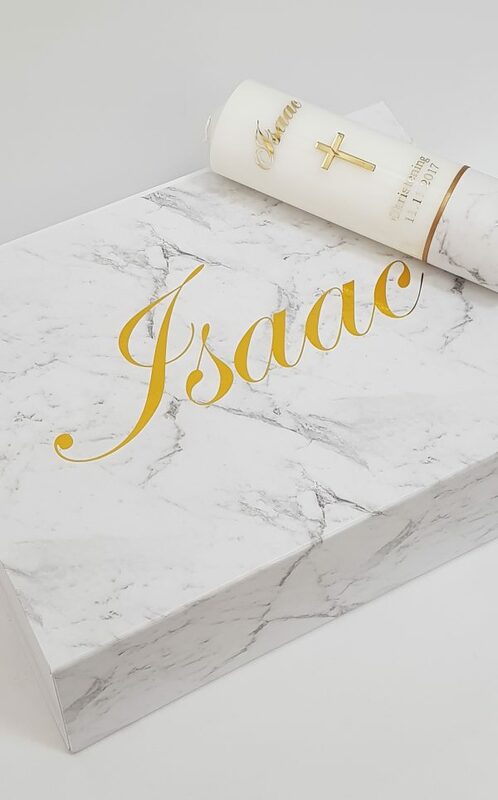 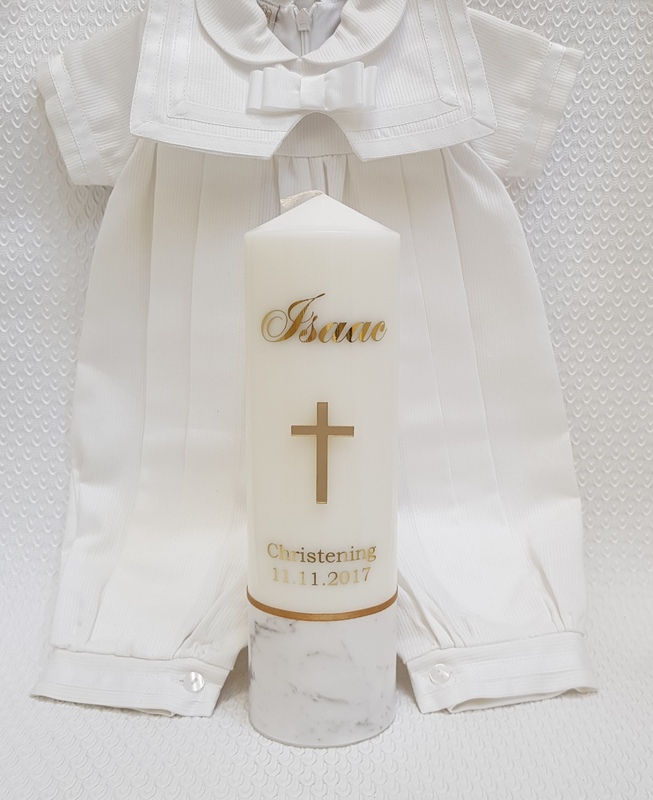 Boy / Girl personalised Christening – Baptism Religious Church candle. 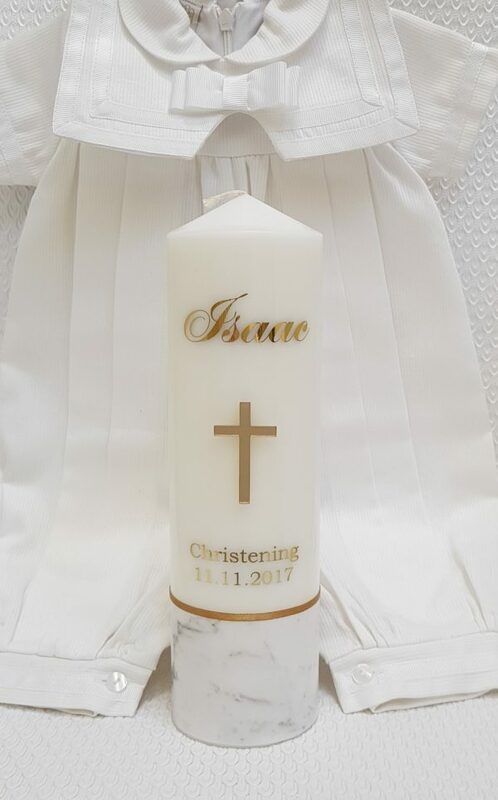 Sample shown is embellished with a Gold acrylic mirrored Cross. 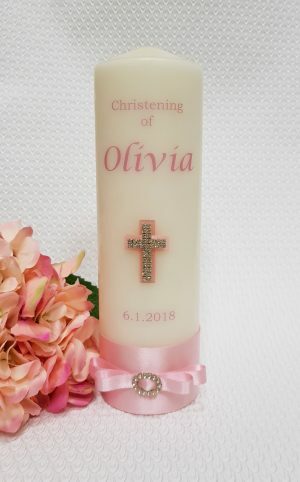 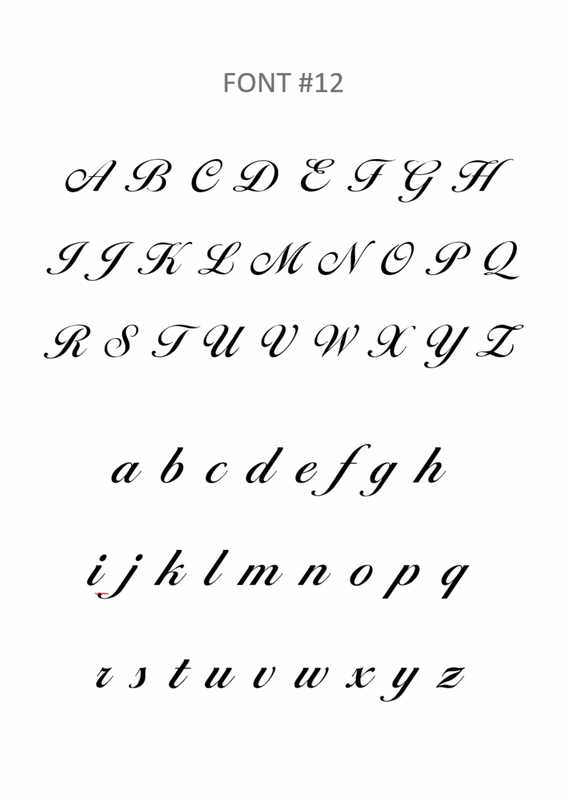 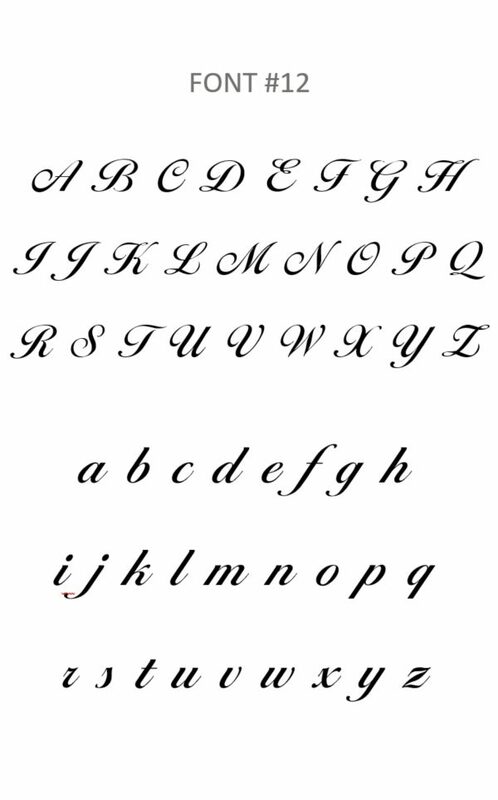 Note: Black font will be embellished with a silver mirrored cross; Rose Gold foil will be embellished with a rose gold cross and Pink foil will be embellished with a pink cross.